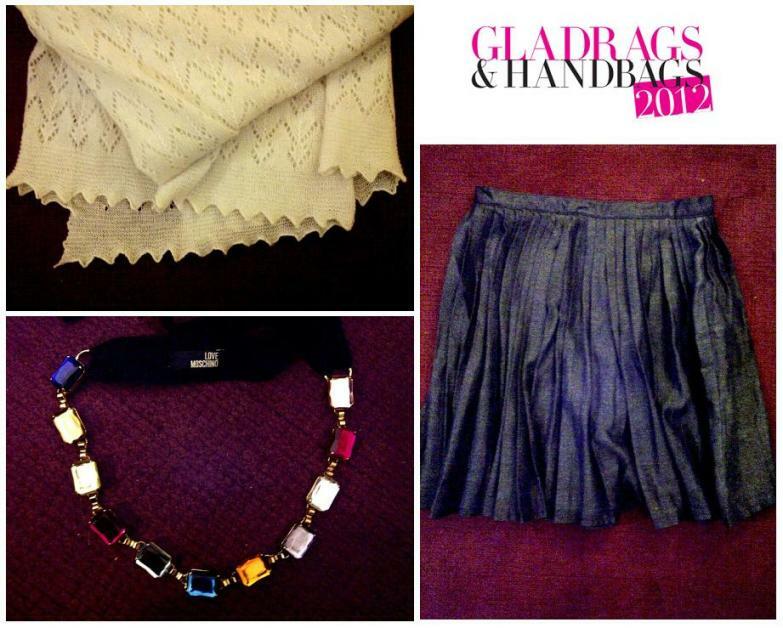 I was in London last week and popped into the Grazia Gladrags and Handbags Sale on Friday. All proceeds of the sale went to Kids Company. Sophie Dahl gave a speech at the opening of the sale, along with the charity's founder Camila Batmanghelidjh. I picked up some wonderful items, including a white cashmere scarf, a Charley denim pleated skirt and a Love Moschino necklace - well worth the visit!